Why are bullets of gas shooting out of the Orion Nebula? Nobody is yet sure. First discovered in 1983, each bullet is actually about the size of our Solar System, and moving at about 400 km/sec from a central source dubbed IRc2. The age of the bullets, which can be found from their speed and distance from IRc2, is very young — typically less than 1,000 years. 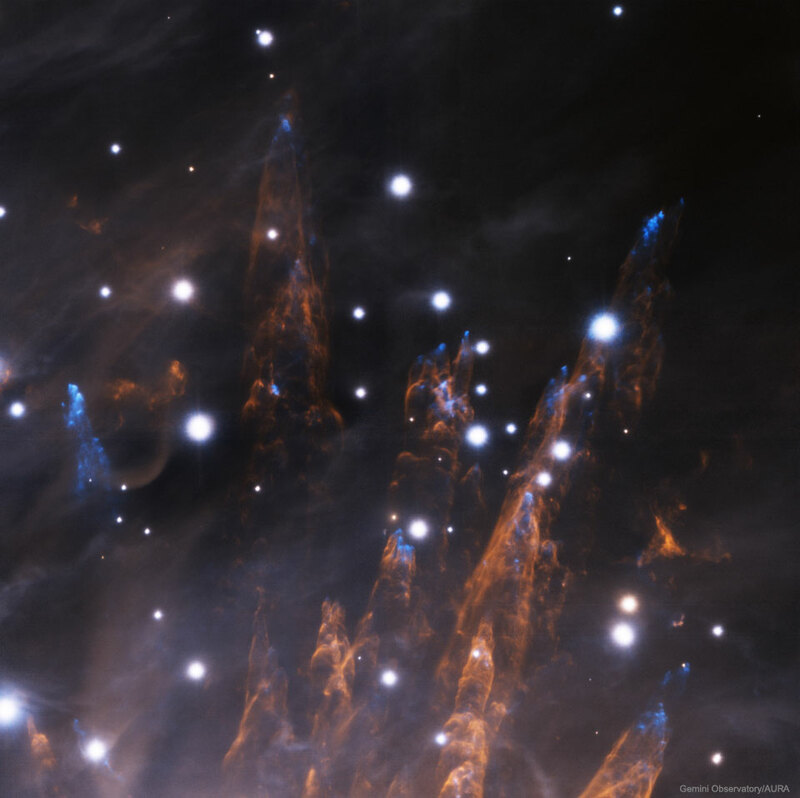 As the bullets expand out the top of the Kleinmann-Low section of the Orion Nebula, a small percentage of iron gas causes the tip of each bullet to glow blue, while each bullet leaves a tubular pillar that glows by the light of heated hydrogen gas. The detailed image was created using the 8.1 meter Gemini South telescope in Chile with an adaptive optics system (GeMS). 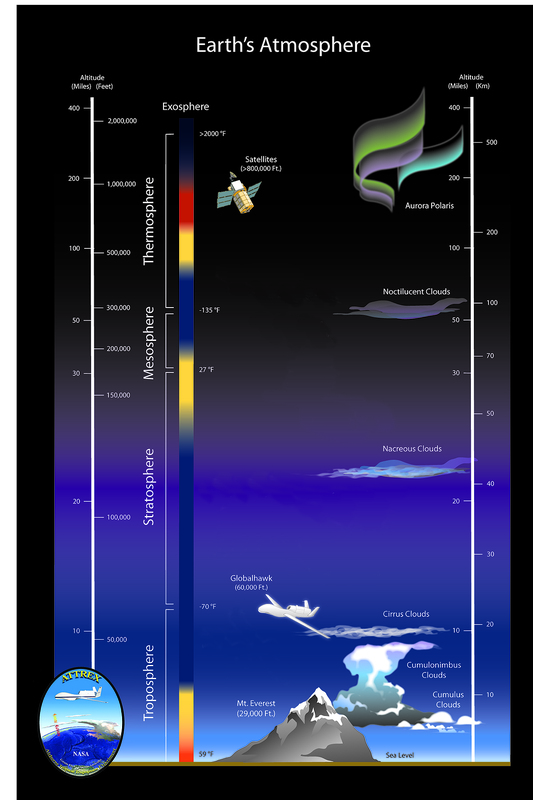 GeMS uses five laser generated guide stars to help compensate for the blurring effects of planet Earth’s atmosphere. Previous Previous post: Sunny tomorrow!